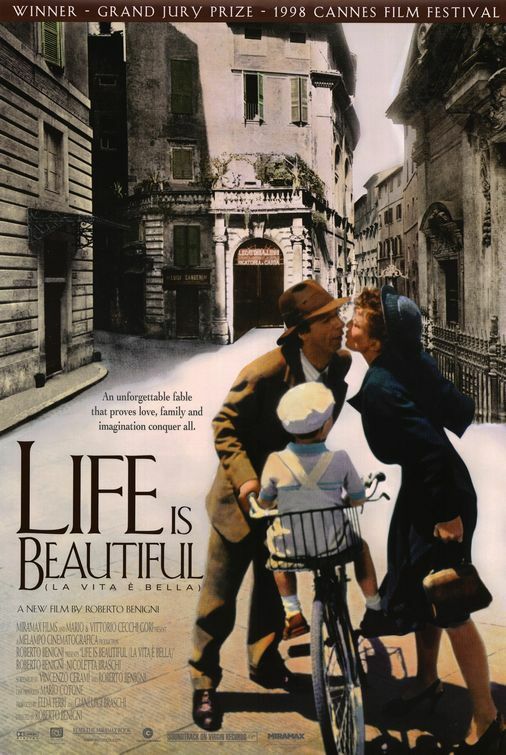 In 1997's triple Oscar-winning Life is Beautiful, Roberto Benigni co-wrote, directed and starred as the Jewish Italian in the 1930's who feel in love, married and then had to use his humour and imagination to help his family survive the horrors of a Nazi concentration camp. 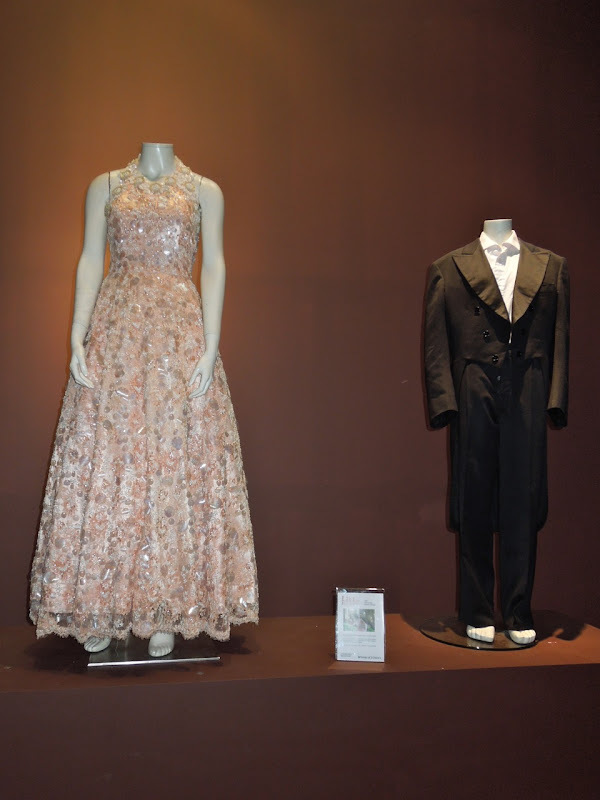 These costumes designed by Danilo Donati (whose work can also be seen in Flash Gordon and Red Sonja amongst others) were photographed on display at the London Film Museum on May 15, 2012. 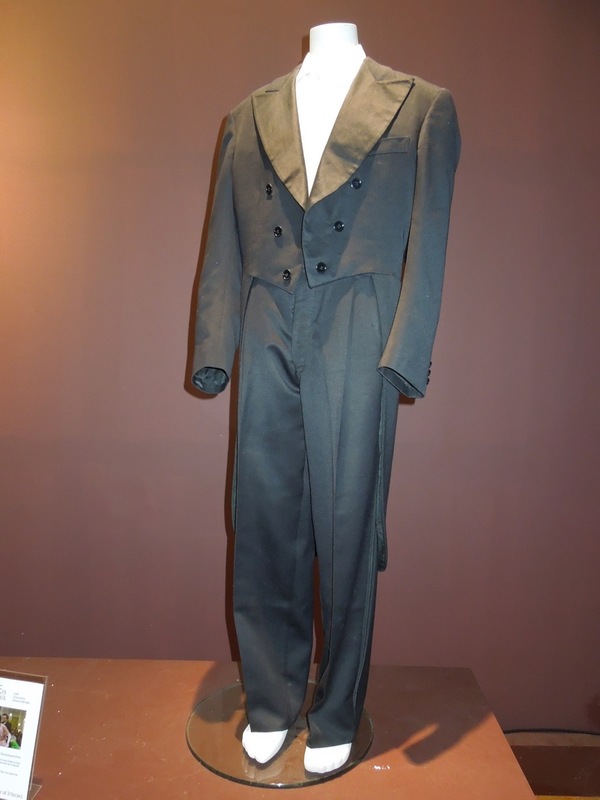 I believe this suit is worn by Roberto Benigni in the role he won the Best Actor Academy Award for, alongside Best Foreign Language Film and Best Music Original Dramatic Score Oscars. 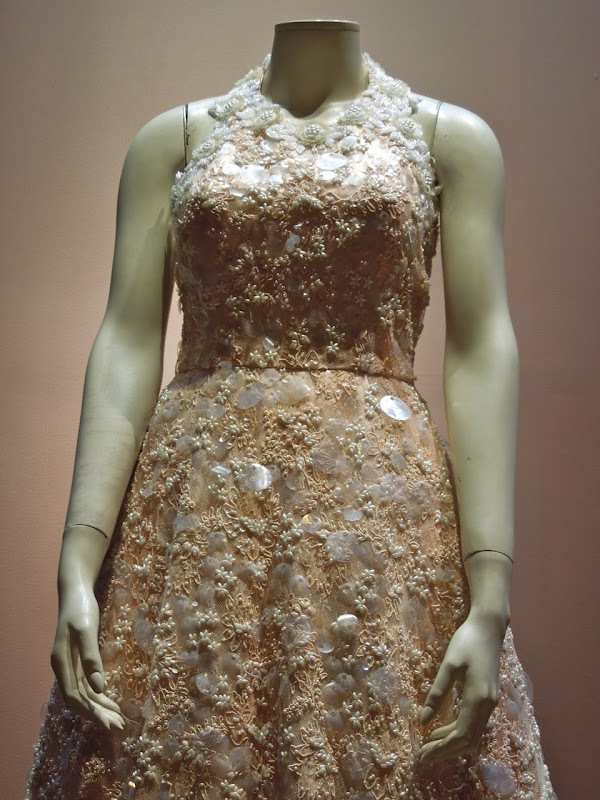 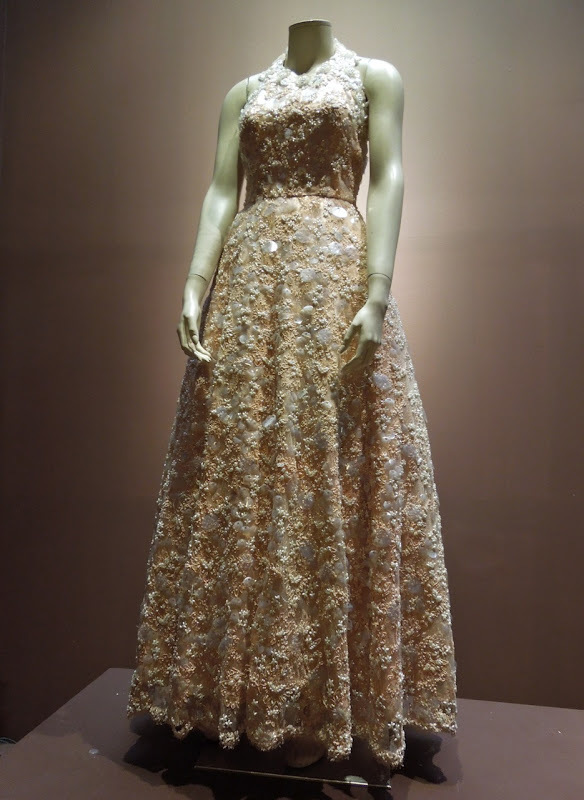 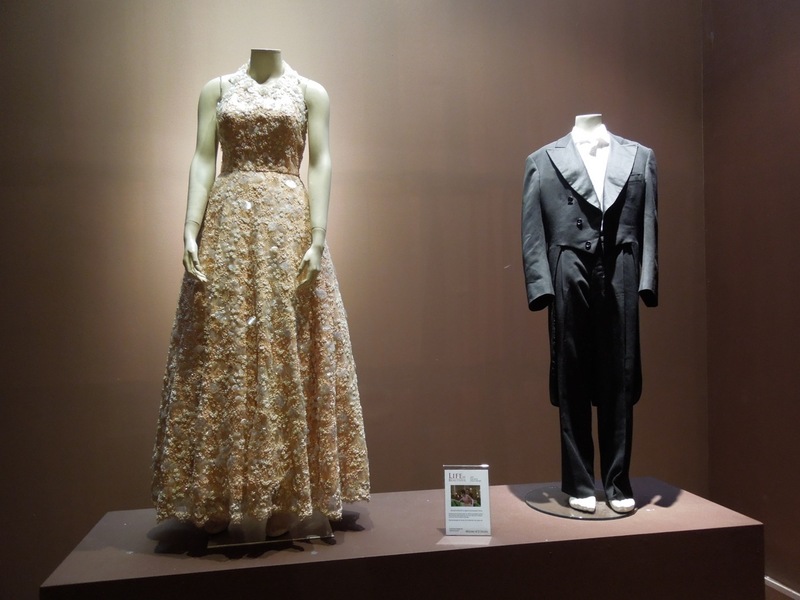 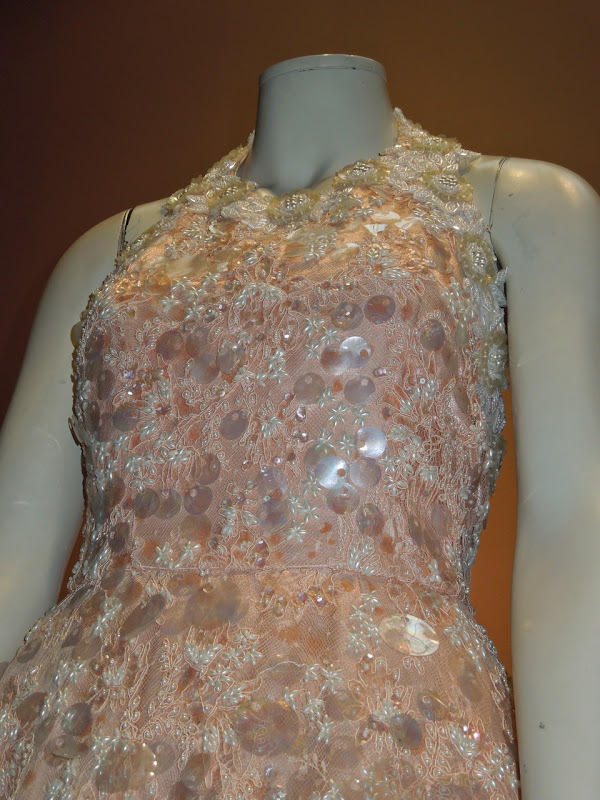 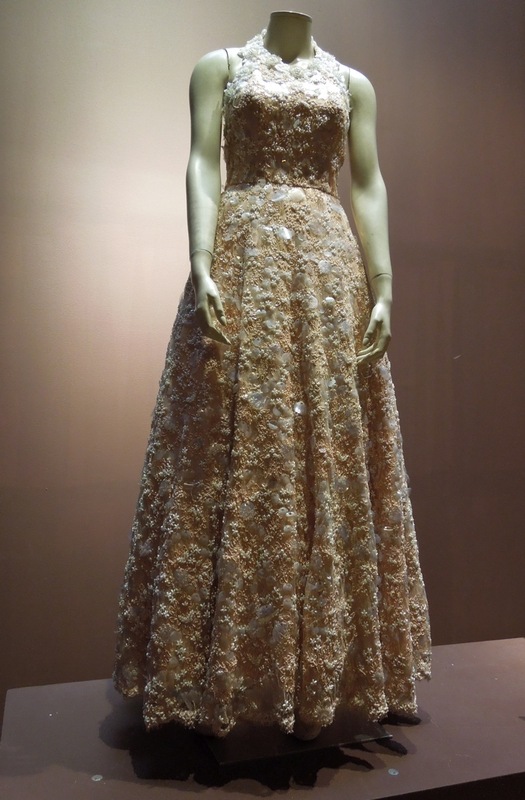 This dress worn by Nicoletta Braschi in the movie was so pretty and it was fantastic to see the detail up close like this.